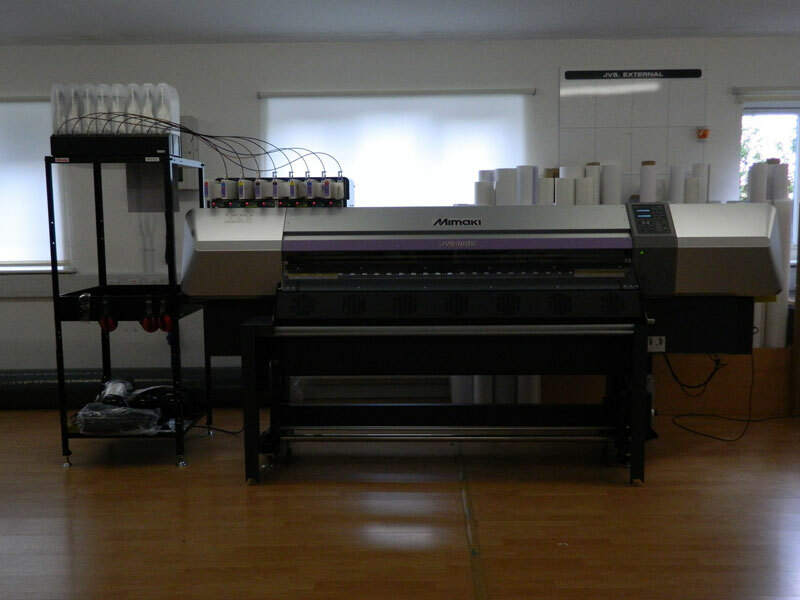 When Heckford Advertising chose to replace its six-year-old Mimaki JV5-160S wide-format printer with the same model, it was also able to reap the benefits of using the new, more eco-friendly Mimaki SS21 inks combined with the new system’s superior print speeds. Supplied by i-Sub Digital, the new JV5-160S unit’s SS21 ink means that Heckford Advertising no longer needs to use a carbon filter for print room ventilation. Furthermore, the 100 percent recyclable packaging used in the bulk ink system has cut the amount of waste the Preston-based print and marketing business sends to landfill, as well as reducing the time spent replacing ink cartridges. In addition, the SS21 option is quick drying, has excellent light fastness and durability, exhibits a superb colour gamut and adheres to a very broad range of materials, advantages confirmed by Heckford Advertising’s Pawel Duna, who confided that the new investment has facilitated a more comfortable working environment, coupled with even lower running costs.